It was announced today on Tor’s website that Brandon Sanderson has finished his 5th book in the Mistborn fantasy saga, Shadows of Self, which is the 2nd book in in the Wax & Wayne series. For those of you unaware, Brandon Sanderson’s Mistborn series was originally mapped out to be a 3-trilogy saga, spanning three different time periods throughout the world’s history. After completion of his first Mistborn trilogy, he decided to write The Alloy of Law as a short story in between the first and second trilogies. That short story somehow found its way to full novel length. And then it turned into a trilogy of its own. And when it was announced today that he had finished it, it was announced he had also gone and wrote the third book in the series (6th in the Mistborn saga), Bands of Mourning, under everyone’s noses. For fans of Sanderson this may come as a huge surprise, or it might not at all. It really depends on how you look at it. For one, he’s extremely open about the projects he’s working on currently, so it’s a surprise in the fact that we had no idea it existed. But as it is, Brandon Sanderson is probably in the easy running for most prolific fantasy author currently on the market for sheer number of books he writes a year, so it might not be surprising to some at all. Not only is the guy known for his work on Mistborn, but with multiple other series as well, that he juggles through without getting sidetracked. Seriously, he’s worked on six major works this year alone, not including the books he’s currently focused on writing now! He writes about his year’s work in a post on his website, where we learn that the real reason he decided to go ahead and also write the third book in the Wax & Wayne Mistborn series is that after finishing up Robert Jordan’s Wheel of Time series it was hard for him to get into Shadows of Self – so naturally he wrote its sequel first and then went back to write it’s prequel. It might surprise you to note that the guy’s work is easily some of the best modern epic fantasy out there, not just stuff scraped together really quickly. His book Words of Radiance (a huge 1000 page tome), the second Stormlight Archive book (of 10) was my favorite release of the year. He also gives us the potential title for the last Wax & Wayne era novel, The Lost Metal – which will be the fourth in its time period (7th in the Mistborn run). This is a series I’ve talked about for a long, long time about a boy who discovers he’s the “Dark One.” Basically, it’s the classic epic fantasy story told from the eyes of the dude destined to try to destroy the world instead of save it. I’ve made good progress on the setting, which is going to be awesome. I wouldn’t be surprised if this is the teen series I do once the Reckoners and the Rithmatist are both done. As a note for fans, this is a Cosmere story. What he means by “a Cosmere story,” is that many of his books (certainly not all) take place in the same universe. 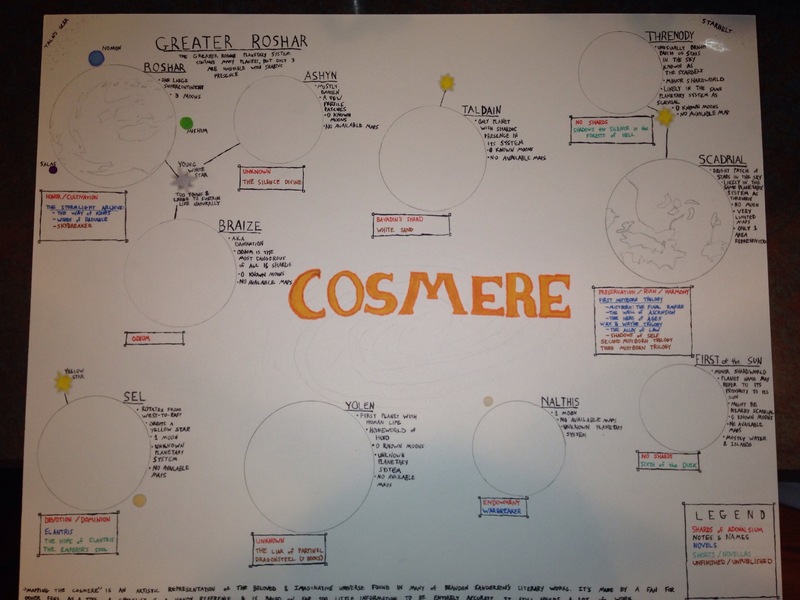 Not necessarily the same planet, but a galaxy he calls the Cosmere – and he’s created an insanely in depth mythos that spans multiple series of books (Mistborn and Stormlight Archive included) that explains why different planets have different magical properties. Eventually it’s assumed he plans to bridge these worlds and create a series where the different fantasies merge in some fashion. It takes epic fantasy to a new level entirely, and in total he has planned roughly 40+ novels to feature in this Cosmere universe of his. 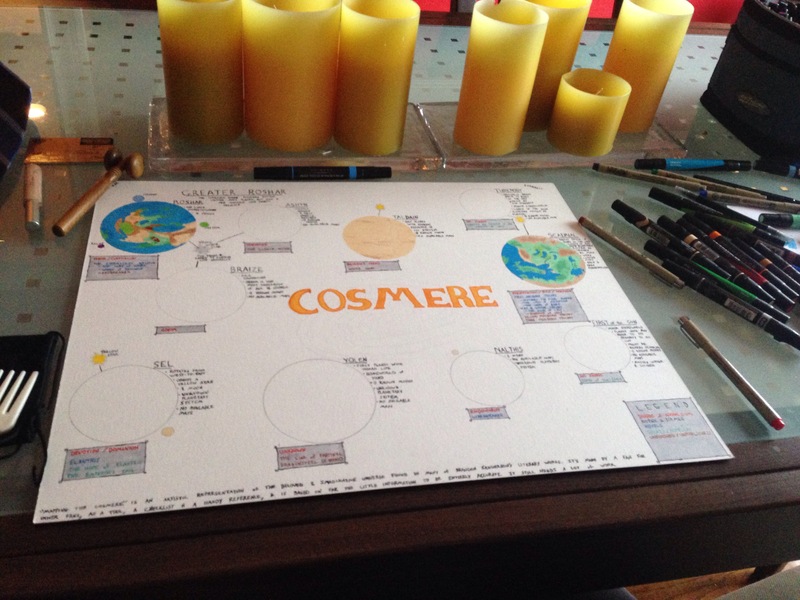 As Sanderson’s unmatched ambition is second to none when it comes to scope, output, and quality of the delivery, I’ve actually started working on a project that involves my mapping out an artistic representation of his Cosmere, based on a ton of info I’ve found from questions asked him and previous interviews. Here’s my latest updates on it. Either way, much of this news now makes my map outdated. Le sigh. I plan to finish it regardless.. He strikes me as a modern day Jack Vance to be honest. I loved the Vance works. 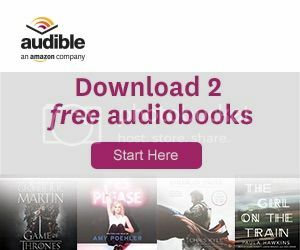 Have you read any of Sanderson’s stuff? I have. I no longer usually read fiction other than re-reading Agatha Christie but I gave him a go and I enjoy it. Hahaha nice. I’ve not actually read any of Christie’s work, but am familiar with it. People who read Agatha Christie as “just” murder mysteries really miss out. She was a secret agent along with her second husband, first for ISIS (Imperial Secret Intelligence Service) and then for MI6. She was Ian Fleming’s secret godmother, and it was her character James Bond (based on him!) that was the REAL inspiration for his own character, not that inane story about a birdwatching book. Intel and wheels within wheels. If only I could write THAT book but alas I must remain firmly a fiction author for health reasons. And on a more mundane level she invented criminal profiling. Seriously. Oh wow. Fhy shouldve told that story for the Doctor Who ep. Agatha Christie was in many ways a sad lady and to quote Twin Peaks, “she’s filled with secrets”. Close reading of especially her espionage and 1928-1932 works (post disappearance and reappearance) shows some very interesting ideas, some of which have been borne out by events down to today.